Curious to know more about both topics, I signed up for a tech talk organised by Jian Hong, and picked up some useful knowledge. Both Jian Hong and I are members of the highly active Community of Learners (Singapore) Facebook Group. Founder of Su-Ette—an A.I. powered business assistant operating on chatbot platform—Jian Hong certainly knew a thing of or two about both topics. Here are some of the lessons that I’ve learned from the talk. I hope that you’ll find them as eye-opening and enriching as I did. What is Artificial Intelligence (A.I.)? First, we need to understand what A.I. is all about. Using the analogy of how the winner of the 50 m Butterfly Finals at the Olympics could shave more than 5 seconds (or 10 percent) off their time – from 55.9 seconds in 1968 to 50.39 seconds in 2016 (our very own Joseph Schooling), Jian Hong brought up the point that technology and science could result in breakthrough performance. Definition of Artificial Intelligence: A code, technique or algorithm that enables machines to mimic, develop and demonstrate human behaviour. To achieve the lofty goal of building sentient machines (think Bicentennial Man), you need to consider the following components of A.I. You need to plan, schedule and optimize your system to achieve a desirable outcome. This may include the use of robotics (a bigger topic for another day). At this point in time, most systems are ‘blind’. For example searches on Google for images may result in odd images being suggested as the search engine does not physically ‘see’ the image. However, machine vision is likely to improve in future. From Apple’s Siri, Amazon’s Alexa to Google Assistant, voice is now the big thing in A.I. systems. Using Speech to Text and Text to Speech technology and the power of Cloud Computing, processing speeds for such systems have improved tremendously, resulting in almost instantaneous translations. NLP is the science behind making interactions between computers and humans more natural. This is important for chatbots to sound more human and to guess the true intent of customers more accurately. An example of a powerful NLP system is found in IBM’s Watson. Machine Learning: How machines can learn ways to be more human using various techniques and processes. These may either be reinforced, supervised or unsupervised. The best examples incorporate AI systems that have the ability to automatically learn and improve from experience without being explicitly programmed. Supervised Learning ie Predictive Analysis: Here, machines will learn to predict outcomes through the help of data sciences like Regression (Population growth prediction, advertising popularity prediction, estimating life expectancy, market forecasting) and Classification (customer retention, identity fraud detection, diagnostics, image classification). Reinforced Learning (using a Software Agent): Here, machines learn how to behave by performing mini ‘experiments’ or actions and evaluating the results. This may involve the need for Real-time Decisions, Robot Navigation, Learning Tasks, Skill Acquisition, and Game A.I. Deep Learning or Unsupervised Learning: Here, machines can learn to predict outcomes on the go by recognising patterns in input data. They may also draw meaningful inferences from large datasets. Deep learning may require Artificial Neural Networks to make sense of voluminous quantities of data. Techniques used may include Dimensionality Reduction (Feature Elicitation, Meaningful Compression, Big Data Visualisation, Structure Discovery) and Clustering (targeted marketing, customer segmentation, recommender system). Based on what is already available out there, A.I. is able to offer the following benefits to users of artificially intelligent machines. Advanced systems can analyse and interpret accurate information gleaned from the subtleties of natural language. This includes the choice of words, tone, speed, and other information. These bots go beyond what Siri and its ilk are capable of, delivering real utility instead of just being an expensive high-tech toy. This is already put in place with Google’s Semantic Search capabilities. The same capabilities that allows a chatbot to understand a human customer request can empower your systems with “search like you talk” functionality. As A.I. systems improve, the concept of invisible or zero user interaction between user and machine may occur in the future. An example of such applications can be seen in the Datapine (app) which empowers users who drag and drop their data into the app to receive well designed charts and reports. Riding on the advances afforded by A.I., chatbots are developed to help solve everyday problems faced by businesses. A bot is any software that performs an automated task and live online in chat platforms or on social messaging apps. Now according to Jian Hong, there may be many possible definitions (and some confusion) of what bots are. Perhaps the most intuitive definition is that a bot is a piece of software that can have a conversation with a human. A user could ask the bot a question or give it an instruction, and the bot would then respond or perform an action as appropriate. A chatbot is a specific type of bot which uses a programme to communicate with you, most commonly using a text interface and artificial intelligence. From primitive computer interfaces to almost android like machines, bots have evolved over the ages. 2016 – Microsoft TAY (Unsupervised bot) – this A.I. empowered chatter bot learns from all the Tweets available in Twitter, but ended up becoming a racist or neo-Nazi bot! It was eventually disabled. 2016 – Sophia the Robot. This social humanoid robot could display more than 60 facial expressions. Check out the video below featuring Will Smith interacting with Sophia. To ensure that your bot is smart (and human), you could use the Turing test. Developed by Alan Turing in the 1950s, a Turing Test is a method of inquiry for determining whether or not a computer is capable of thinking like a human being. 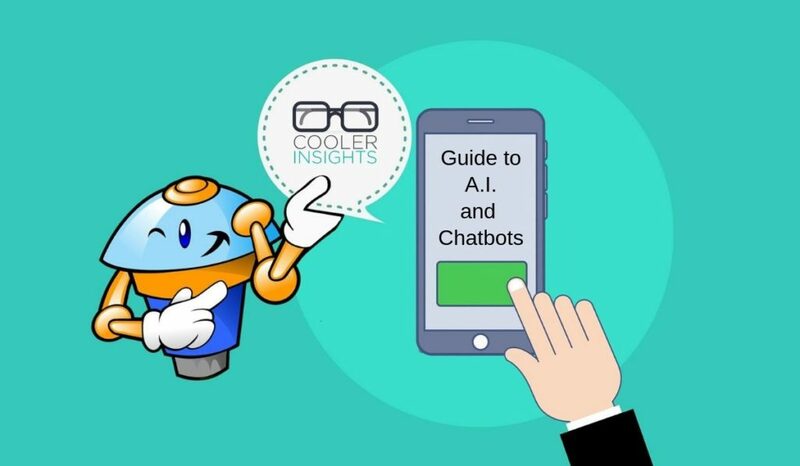 One of the important ways to bring greater functionality to your chatbot involves feeding it with lots of useful and relevant data. While some unsupervised chatbots can learn on their own, other dumber bots require greater human intervention. Bots do not hold the information they need in their systems. Instead, they could plug into your existing databases (eg RFID, CRM or ERP systems) , and draw data from there. Demonstrating his own chatbot interface Su-Ette.com, Jian Hong walked us through the steps needed to use a bot management platform. Typically, you need to first subscribe to a bot management platform before using its features. While some may have a free trial module, others may require you to pay a monthly subscription fee. First, you’ll need to establish your basic information such as your opening hours, addresses, prices, product ranges, and other related information. As part of the onboarding process in using a chatbot, you need to establish what data you should capture from users. These commonly include their first name, email, mobile phones, addresses and other relevant information. Some bots may have small talk capabilities designed to make a user feel more at ease during online chat sessions. This can be a chance to introduce some humour and personality into your online interactions. FAQs are also required for different scenarios. Built with conversational logic, they are especially useful for customer service type enquiries. In terms of message types, you can choose from different actions (usually in the form of buttons), videos, images, URLs, or just plain text. Most chatbots also have fallback functions. These can be activated when the bots fail, and require human intervention to respond to the customer. Often, such functions may involve delegation to the right departments in the organisation. To prevent abuse, blacklists may also be applied to your bots. What I’ve covered above barely scratches the surface of what A.I. and bots are all about. However, I hope that it provides you with a useful introduction to the world of A.I. and chatbots, and that it excites you to learn more about this space. To learn more about the wonderful work which Jian Hong is doing, do visit his website and consider giving Su-Ette a spin! You can also watch Su-Ette in action here. Acknowledgement: Once again, special thanks to the Community of Learning (COL) team and to Jian Hong for making this possible. If you’re keen to plug into learning opportunities like this, remember to sign up on Facebook to be a COL member!